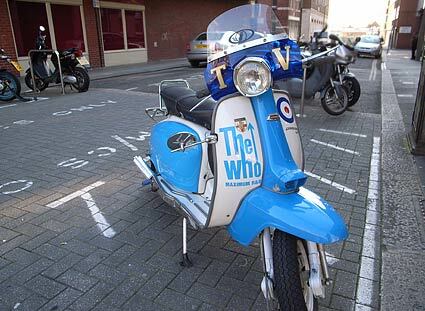 We visit a busy south coast port - the birthplace of Benny Hill! Blessed with an outstanding harbour, Southampton remains the principal port on the south coast, and one of the largest in the UK. Sailing is a popular sport here. Human habitation in the area has been recorded right back to the Stone Age, although it was the Romans who set up the first permanent settlement, established a trading port called Clausentumon the Winchester and Salisbury route. 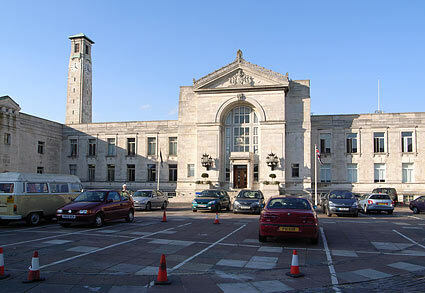 After the Norman Conquest in 1066, Southampton's prosperity was assured when it became the major port of transit between Winchester (then the capital of England) and Normandy. Its docks saw off the Pilgrim Fathers in the Mayflower in 1623, followed by millions leaving Blighty to start a new life in the USA, Australia, Canada, New Zealand, South Africa and other parts of the world. The ill fated RMS Titanic sailed from Southampton (most of its crew were from the area), and the port still retains its status as an important ocean liner port. 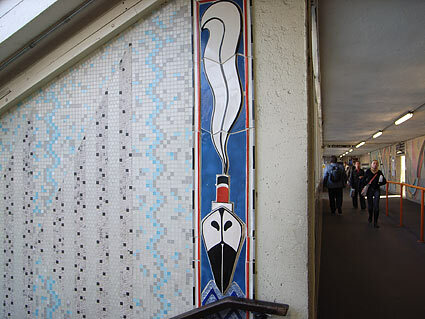 Mosaic detail reflecting Southampton's maritime heritage brightens up an otherwise bland railway station. Welcome to Southampton! 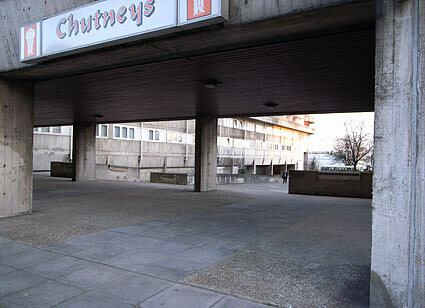 The breathtakingly ugly 1960s concrete tower blocks on Blechynden Terrace, right by the main railway station. Another view of the Wyndham Court tower block complex which looks like it was modelled on a Baltic military checkpoint and manages to make the Barrier Block in Brixton look like a country cottage. Uninviting walkway off London Road. 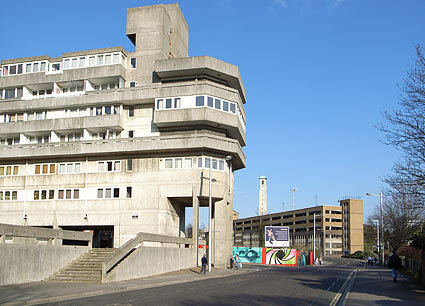 The Brutalist monstrosity was dreamt up for Southampton City Council by Lyons Israel Ellis, one of the first practitioners of the New Brutalism in the 50s. 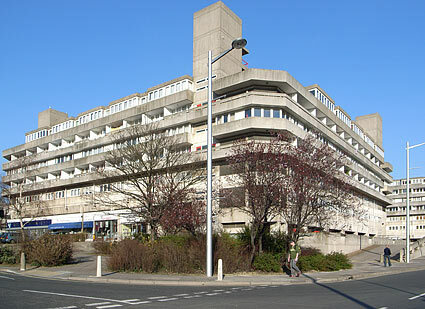 Built over 1966-69, Wyndham Court was originally aimed at upmarket council tenants thanks to their oik-deterring high rents. Incredibly, this celebration of all things cold, uninviting and ugly got listed in the late 90s. 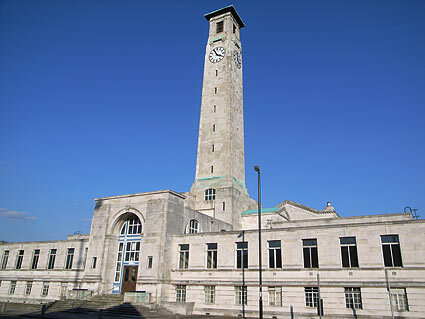 The west wing of Southampton's Civic Centre, dominated by the famous clock tower, known locally as 'Kimber's Chimney' when it was built in the 1930s. The west wing originally served as courts but now hosts the police station. 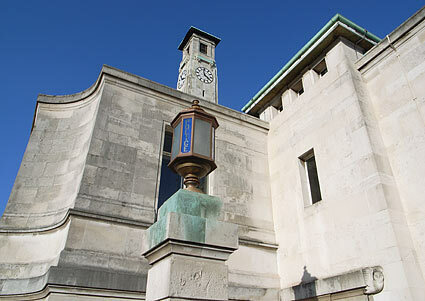 The entrance to the south wing of the civic centre, which is mainly used for council offices. 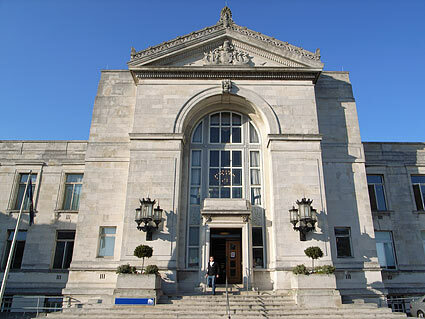 The south block was opened by the Duke of York, and his wife, the Duchess of York, on 8 November 1932. Another view of the south block. Turning around 180 degrees you can see this underwhelming glass building. 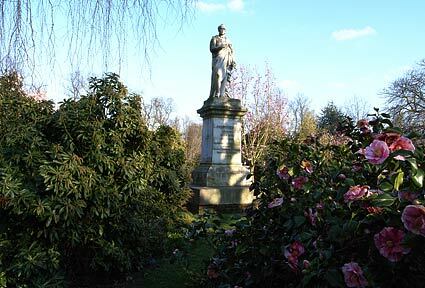 Palmerston served twice as Prime Minister of the United Kingdom, and this statue was erected three years before his death. 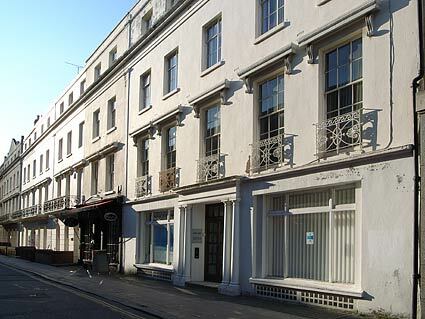 Portland Street, an attractive Georgian Terrace in central Southampton. 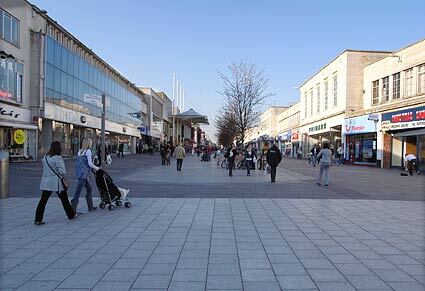 Southampton is very big on shopping malls. 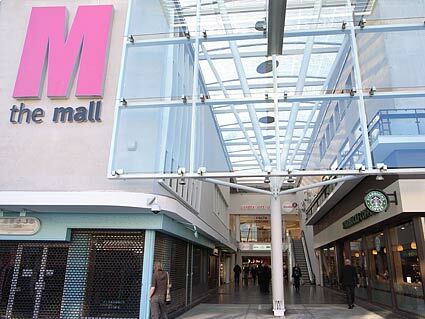 Here's the two storey one called 'The Mall.' Someone must have been up late thinking that name up. 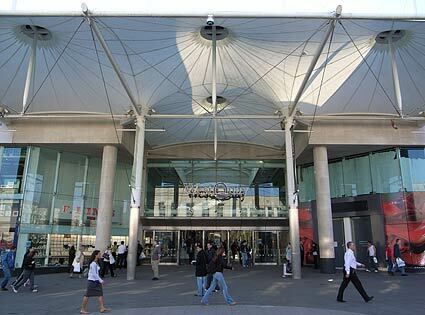 West Quay shopping centre, which had the honour of being the biggest city-centre shopping mall in Europe when it was opened. 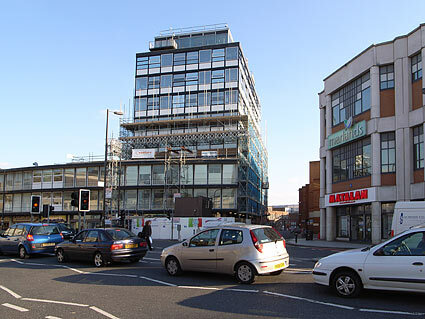 Looking north along the pedestrianised Above Bar St, so called because the Bargate is right behind me in this view.